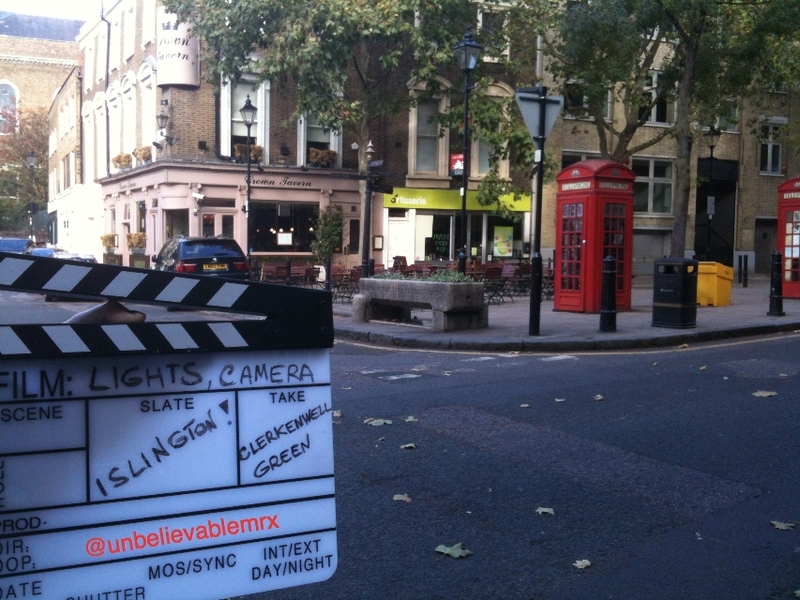 Clerkenwell Green: Fishy Wanda on the Run | Lights, Camera…Islington! A heist-comedy co-written by, and starring John Cleese, fellow Monty Python’s star Michael Palin, Kevin Kline and Jamie Lee Curtis looked to have all the ingredients for success when it was premiered. Indeed, within weeks A Fish Called Wanda (1988) became an enormous critical and commercial success, scooping numerous awards along the way. In London, George (Tom Georgeson) has a plan. Together with Ken (Michael Palin), Otto (Kevin Kline) and Wanda (Jamie Lee Curtis) they join forces to commit a multi-million pound jewellery heist. After their success, they all try to double cross each other for the loot, as you would. In her quest, Wanda needs to seduce George’s lawyer, Archie Leach (John Cleese). We can spot our culprits in Islington when, having carried out their heist in nearby Hatton Garden, they arrive Clerkenwell Green walking to meet Wanda, waiting for them in their getaway car. 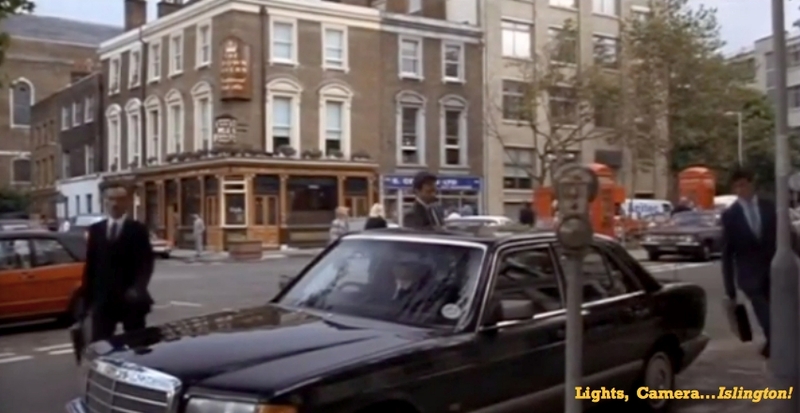 The car is parked on the south side of the Green with the Crown Tavern pub in the distance. Pause for a second. Although Hatton Garden is fairly close to Clerkenwell Green I am not sure, should I ever consider carrying out a similar robbery, that I might want to walk all the way to Clerkenwell Green before getting into a car…Having said that, it suits us perfectly since, in doing so, they leave behind Camden to enter Islington! They jump on the car and here they go – not without nearly running over an old lady and her three Yorkshire Terriers.